Odd noises and leaking fluids have you questing the health of your vehicle? It could be an issue with the driveshaft and axles. Find out exactly what these components do for your vehicle, and why it’s so important to properly maintain them. Need an opinion from an expert? Contact us at Glenn’s Auto Repair today! The driveshaft is a cylinder, usually made of steel or sometimes aluminum, which connects the rear differential and your transmission. It works together with an axle and CV joint to allow torque from the transmission to reach the wheels and drive your vehicle at a steady speed. When you drive, your vehicle isn’t always gliding over smooth terrain. Even when a road seems steady, there are dips, ridges, grooves, and rocks to cause bouncing and shaking. The force caused by the terrain you drive is more easily absorbed when axle can bend and move with your vehicle. It does this with the help of the CV joint. Overtime your driveshaft and axle take a beating, and a certain component may need to be serviced or replaced. Regular scheduled tune-ups and communication with your mechanic can keep these issues from escalating. The sooner you have your driveshaft and axle diagnosed and repaired, the less permanent damage your vehicle will incur. Remember that while replacing some of these components can seem expensive in the moment, replacing many components due to a broken driveshaft will have even more impact on your wallet. At Glenn’s Auto Repair, our goal is to provide high-quality, affordable service always, which is why we believe in giving our clients all of the information you need to keep your vehicle running safe and steady. Signs Your Driveshaft and Axle Should Be Looked At While your driveshaft should be included in regular yearly diagnostics and maintenance, there are a few ways to tell if you should schedule your appointment early this year. Odd Noises: As with any unfamiliar noise your vehicle makes, it’s important to have a certified mechanic check it over as soon as possible. At Glenn’s Auto Repair, we especially suggest you watch out for metallic clinking or heavy thud noises. This could indicate a need for CV joint repair, which could alternately mean your axle requires some TLC as well. Leaking Fluid: Leaks of any kind are never good, but if there’s grease coming from your CV boot, there’s a possibility that the joint has been damaged as well. Shaking and Vibrations: It’s not just sounds that raise the alarm bell when it comes to your driveshaft and axles, you should also be wary of new physical reactions as well. Shaking and vibrations when you accelerate are a sure sign that your driveshaft has taken a beating. Steering Trouble: Finding your steering wheel stiff, or that your vehicle isn’t turning quite as smoothly as it used to? This could be due to a driveshaft issue, and it could be serious. Deterioration of the driveshaft can affect many areas of the vehicle, so it’s important to have it looked at as soon as you notice the change. The axle connects your wheels, keeping them turning together and creating a stronger structural foundation for your vehicle. When the axle becomes damaged, your wheels won’t properly turn, and over time, your vehicle won’t be able to go at all. The axle bears the weight of the load in your vehicle, as well as the weight of the vehicle itself. Even the slightest damage can be cause for concern, especially if you have a long journey ahead of you. The health of your driveshaft and axles can inadvertently effect the health of your tires, engine, and many other components, making it crucial to take action when an issue arises. Aside from the above-mentioned signs, you can run a quick test by choosing a quite area with a large open space. A shopping mall parking lot after dark is a good choice. Drive in a slow circle and listen to thuds, creaking, clinks, or clunking as you go. Pay close attention to your steering, and any shuddering or shaking the vehicle makes as you round the corner. If you’re concerned about your driveshaft and axles, or it’s been a while since your car was last checked for damage, contact us at Glenn’s Auto Repair. 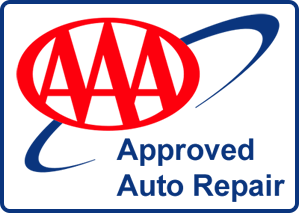 Our friendly and knowledgeable staff is always happy to talk to new and returning clients, and can schedule you an appointment with a certified mechanic at your convenience.